The most important technique which one uses in each and every work is mathematics. Math Worksheet Templates can be considered as one of the most necessary technique or a subject which each and every person use in their every activity. No one can actually escape this subject or technique if anyone is not fully equipped with this technique then they can really be lacking something very important in their life. Now there is something which is most necessary activity which is counting money and in that matter subtracting money worksheets can actually help people without confusing them about this whole important matter. A simple yet very effective template designed to help in exercising the money management is here. It will help you while purchasing or selling anything. This template can be very helpful for shopkeepers and cash counter executives to add or subtract money without help of calculator. This template has enough exercises to practice and by practicing the same anyone can boost his/her skills on money management. 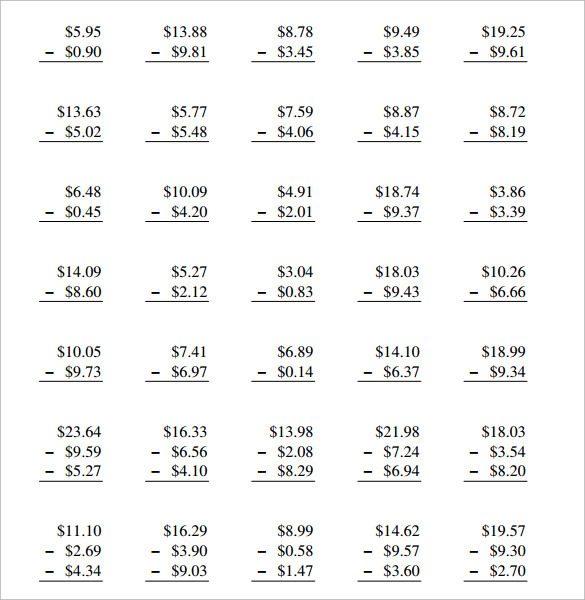 This template is very useful to practice subtraction exercise of money. 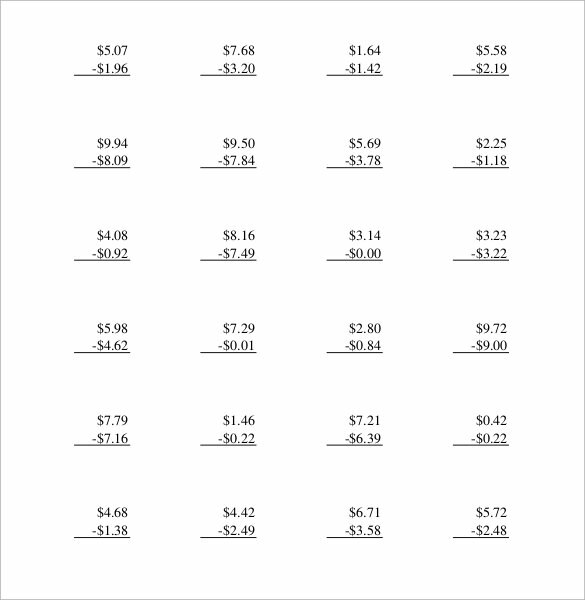 This template contains 20 different exercise of adding and subtracting money. If you want to practice it then you just need to download and take a print of this template. These 20 exercises are really helpful for the people who want to learn the technique of adding and subtracting the money. This template is designed to educate a person about how to subtract the money while doing any transaction. 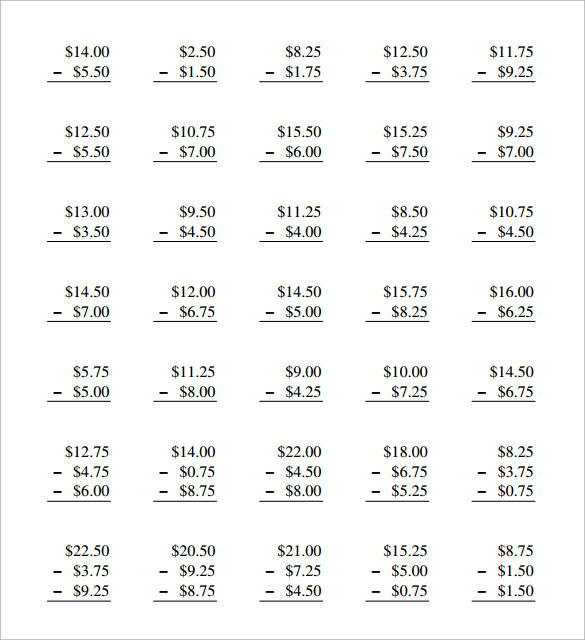 If you looking for some useful template for your kids or employs or students to teach them about the adding or subtracting the money then this is a very relevant template for practice. It is also useful for the person at cash counter of any store or shop to practice the same while selling the multiple products. This template is designed by professionals to teach a person about the identification the banks notes. This template contains the pictures of different denomination currency note and has space for practice. It also has side bar where instruction to create the new bank note has been given. 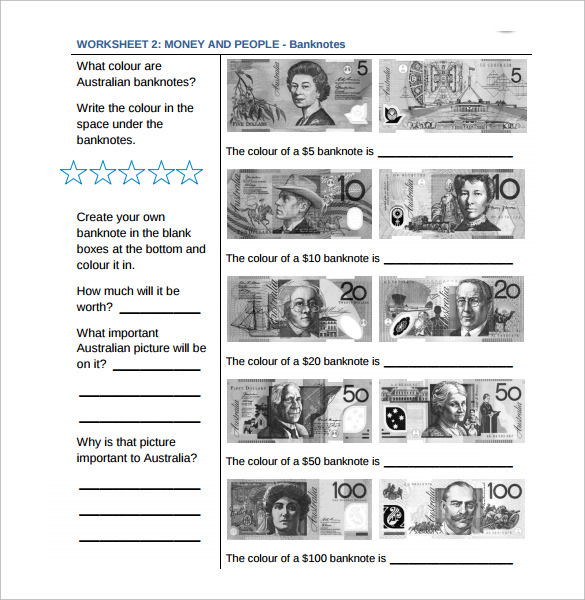 Anyone who wants to practice about the bank notes can use this template. 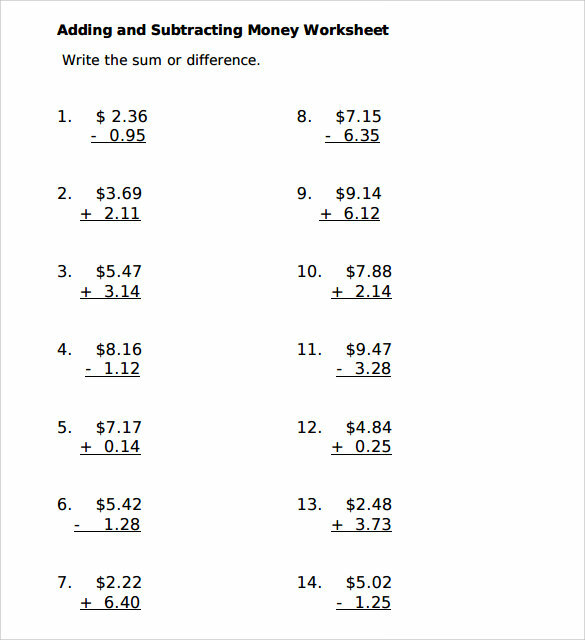 Why we need Subtracting Money Worksheet? Managing money is a difficult task and everyone must have skills to add or subtract money while doing any business transaction. These templates are very useful for the person who wishes to learn these skills by practicing. Anyone can download these templates and practice by himself/herself. These templates are also good for students who are learning how to subtract money while buying or selling anything. You may like Vertical Subtraction Worksheets. 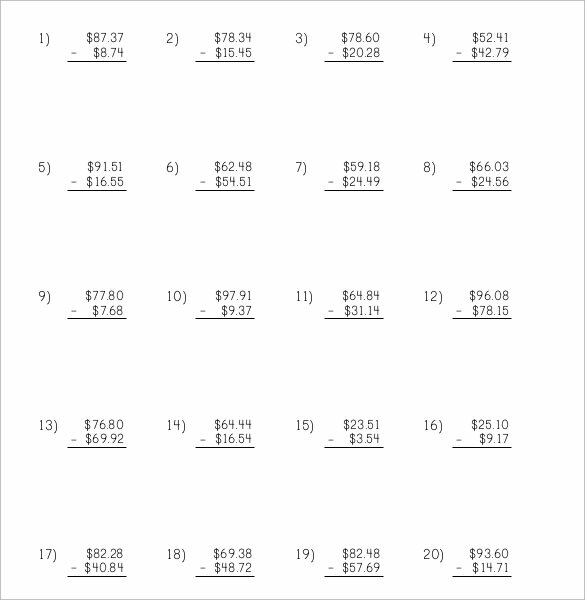 When we need Subtracting Money Worksheet? To practice about how to subtract money while doing any transaction these format are very good. To teach students in the class about managing money while purchasing or selling anything. To teach the retails store cashier about how to calculate the balance money while making a transaction. Managing money isn’t an easy task and anyone who wish to learn the money management skills while performing any daily life money related transactions. These templates will be very helpful for your growing kids and also if you have any cashier working at your shop who needs training about money management then you can use these templates. A professionally designed practice template for subtracting the money will be very useful for anyone who wishes to learn the basic money management skills.